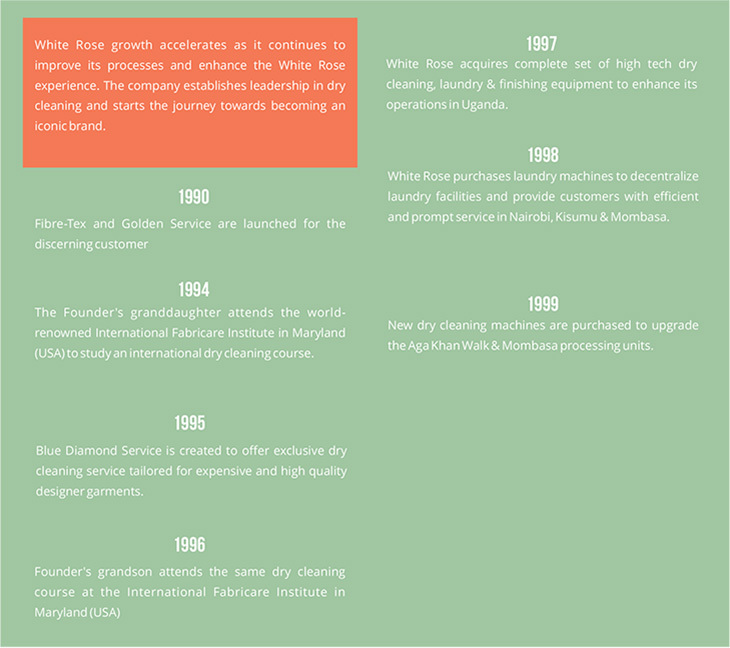 The White Rose story began over 64 years ago when the founder, Habib Keshavjee had a revolutionary idea. It all unfolded when one day on a plane, he and a South African Indian journalist were in deep conversation and an air hostess accidentally dropped a tray of food on his suit. She apologized and asked him to send the dry-cleaning bill to the airline. 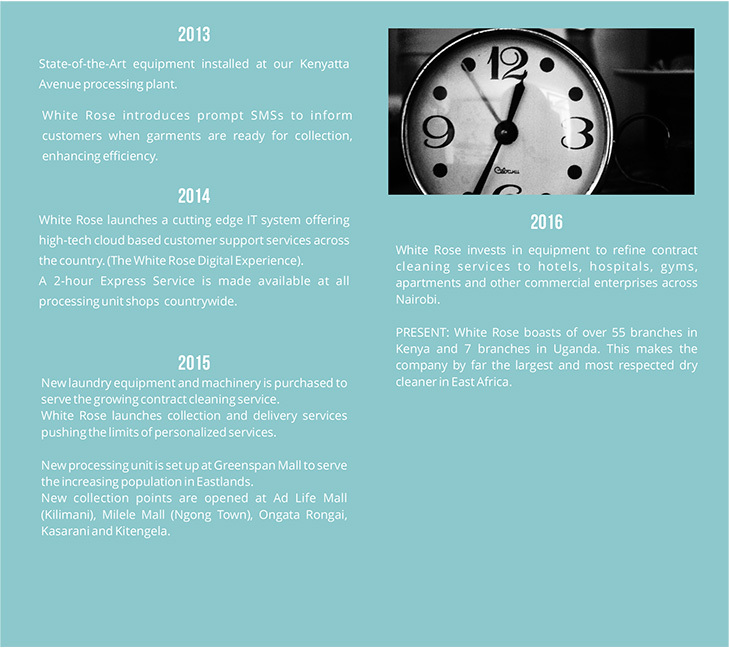 On his arrival in Nairobi he went to a few dry cleaners and was astounded to learn that none of them provided a same-day service. 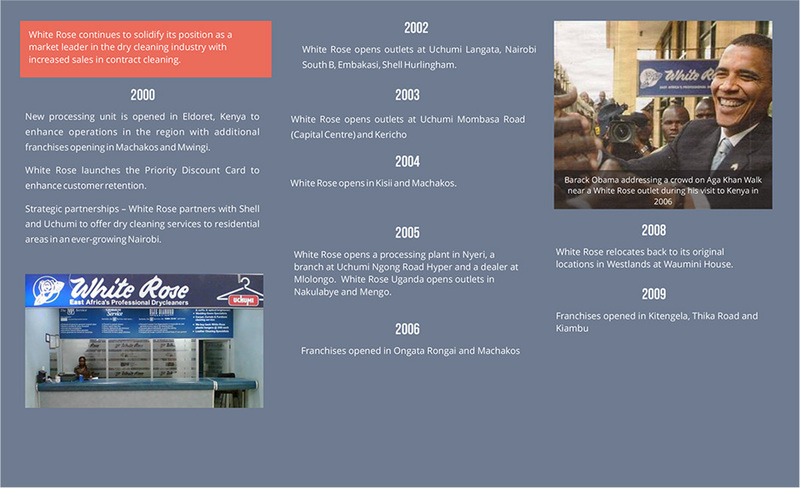 Mr Keshavjee found that all dry-cleaners in Kenya, including long established British firms used antiquated equipment and inefficient processes. 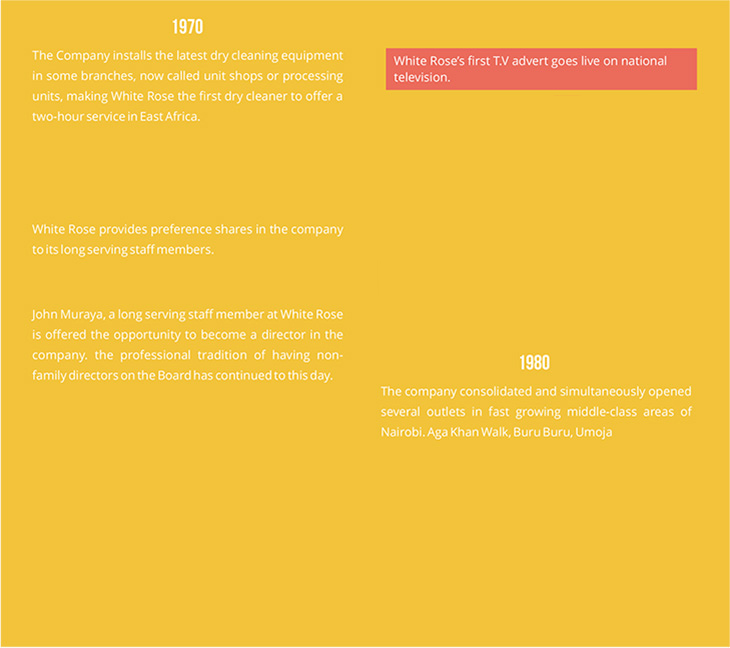 This presented the opportunity he was looking for. 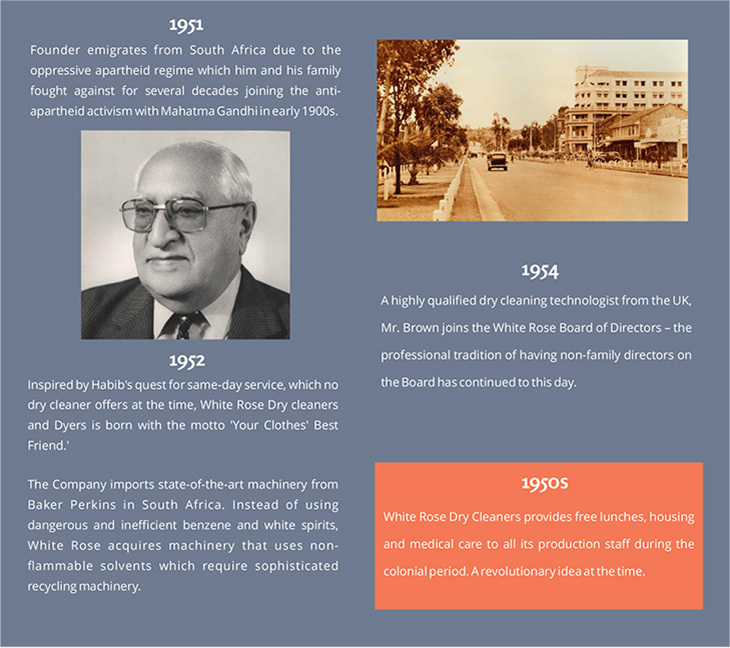 In Early 1952 at the age of 42 he imported state-of-the-art machinery from Baker Perkins in South Africa and set up White Rose Dry Cleaners and Dyers with the motto, “Your Clothes’ Best Friend”. 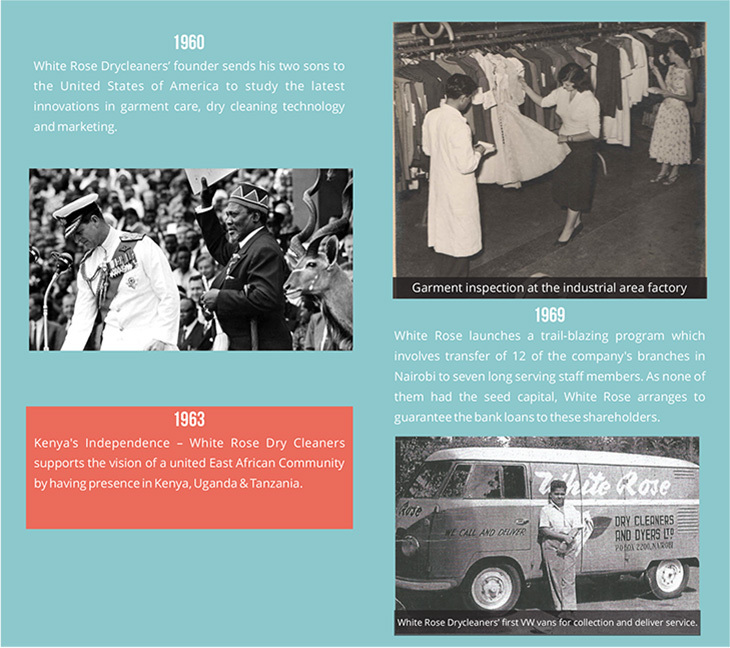 Looking to join us on a partnership level?